Ali Sadpara talks about his passion for mountains, the early days of his career and what motivates him. Most of us would know Muhammad Ali Sadpara as the Pakistani who attempted Nanga Parbat with Alex Txikon in winter 2015 and achieved first winter ascent of the mountain this year. 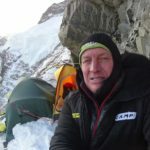 But he was “there” so many times – barely visible though; be it during Broad Peak winter attempts of 2009 and 2011, or the expedition that made first winter ascent of Gasherbrum I. 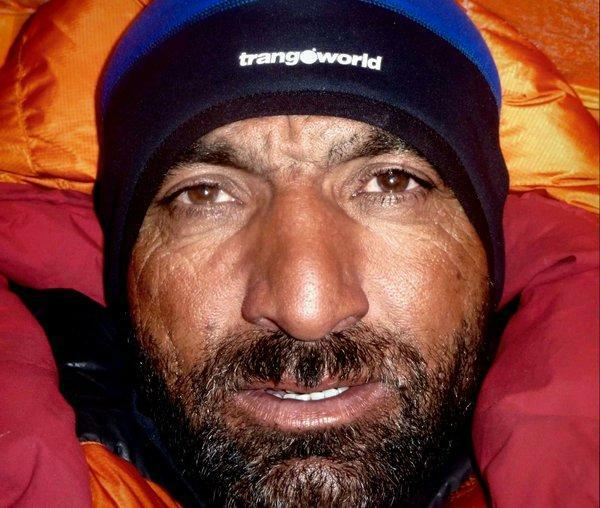 He has climbed GI, GII and Nanga Parbat (twice) and reached Broad Peak Foresummit in summer. 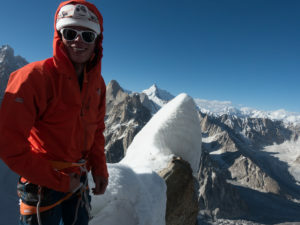 In this part of interview, Ali talks about his passion for mountains, the early days of his career and what motivates him. The second part is all about winter climbing, winter Nanga Parbat & K2 and the ‘mystery’ behind different paths during Nanga Parbat summit push. 1. How it started? When did you select climbing as a career? Around two decades ago when I was in college, one of my friends who worked as a mountain guide and led trekking expeditions to K2 Base Camp, invited me on a trip to big mountains. Since, it was arranged during my summer vacations, I gladly agreed and joined him for some fun time. At Concordia, I met a British lady climber and had a brief chat that changed the course of my life. During the conversation that didn’t last more than 5-10 minutes, I asked, why she climbs. 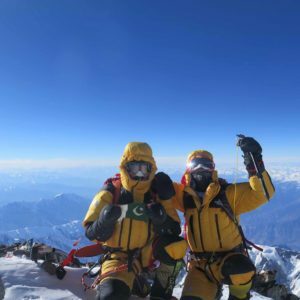 She took out her national flag from backpack and replied, ‘I want to take this to the summit.’ The lady, who was apparently in her forties, continued that although herchances of reaching the top are somewhere around 20%, she would try it nonetheless. I was moved. I thought, if a lady of her age and skill level had such motivation, why I – being young and strong – couldn’t do it for my country? I, thus, promised myself to climb those beautiful mountains surrounding me at that time. 2. But at one point, you were doing some unrelated jobs far away from mountains? There were some financial issues, as often happens here, and I had to go to Karachi. In 2000, I began working as a (low altitude) porter. I worked for foreign expeditions and also transported ration for army teams deployed near border. For me, the actual climbing began in 2006 when I summited GII. Prior to that I used to do other jobs too – it was like sometimes in, sometimes out. 3. How did your initial big expeditions go? In 2006, I was part of Amical Alpin GII expedition. After rope fixing and setting up camps, we were all set for summit push. I carried a heavy backpack to C4 that night and went inside my sleeping bag for a quick nap. When everyone was getting ready for the summit-bid and I just kept sleeping, they thought I was probably suffering from altitude sickness. So, the team started the ascent without me. When I woke up and found no one in the camp, I was surprised. I put on my crampons and started the ascent. My headlight wasn’t working. So, I just followed their steps in moonlight. 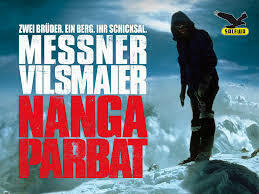 At the end, I was the second climber to reach the top, behind expedition leader Michael Worthl. Next year, I was hired for Russian team on K2 West Face. The expedition was assisted by ATP locally and Ashraf Aman told me that it’s a good expedition (which meant good bonus for porters). However, during the expedition I came to know that our job is to carry loads till C1 only and we will not be going any higher. I remained with them till mid of the expedition. 4. And then Nanga Parbat … twice! Yes, in 2008 and 2009. On first occasion, I was with Amical Alpin expedition (Daniele Nardi was also part of the team). Nisar Hussain – a friend, who climbed all Pakistani 8000ers and died during winter GI expedition – was also part of the team. On summit day, conditions were not good and at around 7400-7500m, the foreign climbers gathered to discuss whether to continue the summit-bid or not. However, Nisar and I mutually agreed that if others turn back, we two would proceed with the ascent. Wouldn’t matter if we lose the bonus, we were supposed to get at the end of expedition. Eventually, we were first climbers to reach the summit. 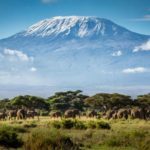 Though, the team had also decided to go ahead with the summit push. In 2009, I was hired to search for remains of an Iranian climber, Saman Nemati, who went missing on the mountain a year ago. The Iranians also wanted photos of summit piton for some verification purpose. Although, the climber’s body wasn’t located, I managed to reach the top. On summit day, I climbed with Joao Garcia who later became first Portugese to complete 14x8000ers. Next year, I was again on Nanga Parbat with Cleo Weidlich. However, we had to abandon the expedition due to some health issues with Cleo. 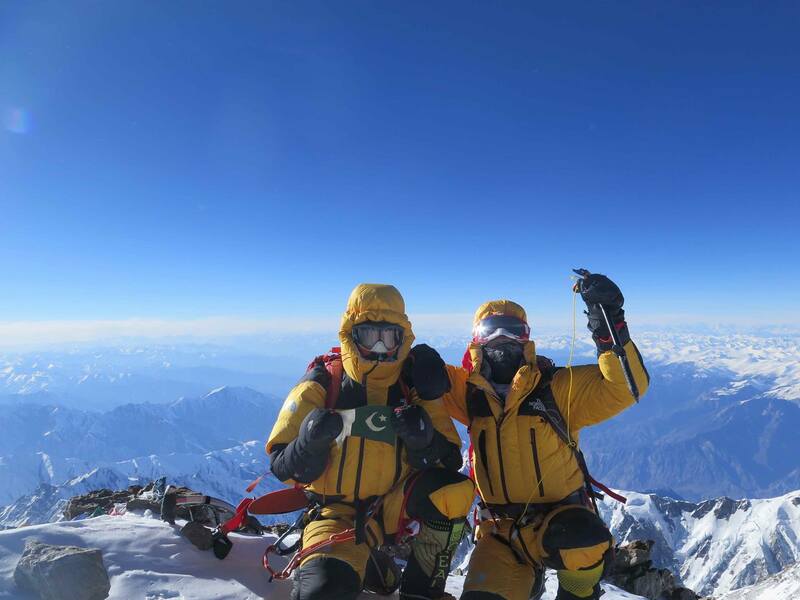 We then went to Gasherbrum I and successfully reached the summit. 5. There is a general perception that some HAPs do not go for summit. They would happily conclude their assigned task of load shifting to C3 or C4 and go home. What’s your say on this? I don’t want to discredit the work of my fellow porters and Pakistani climbers. They put in a lot of effort. I can only speak of how I see this. To me, if you are representing Pakistan at any level in any field, you should work with honesty and passion. This will make our country rise and shine. If everyone does his job with full responsibility and utmost compassion, Pakistan will shine. I tell my friends that we (mountaineers) should also put in as much efforts as we expect from our national (Cricket) team. It’s bad if we see it only as a job or as a way to earn money.